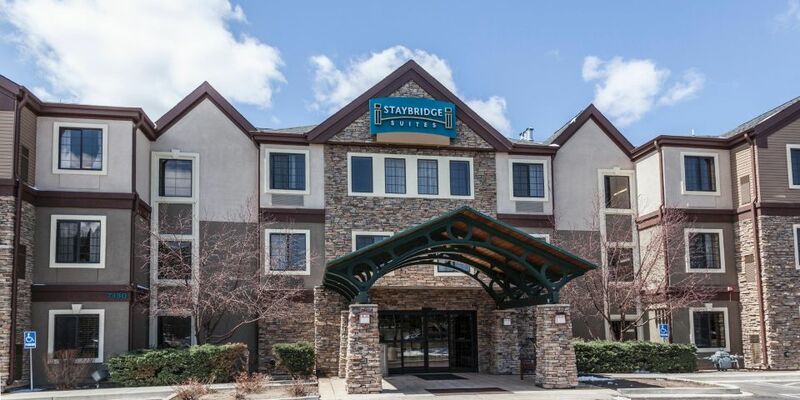 Staybridge Suites Make your day hotel stay enjoyable and comfortable by booking your day stay at Staybridge Suites. 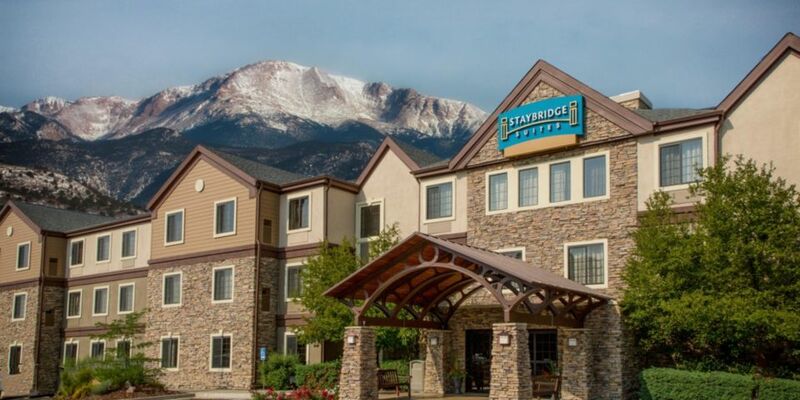 With the breathtaking vistas of Pikes Peak surrounding it, Staybridge Suites is a great complimentary hotel for you to enjoy what the city of Colorado Springs has to offer. After a long day of exploring the city, be assured that you can relax in the hotel’s standard oversized rooms with extra storage space. 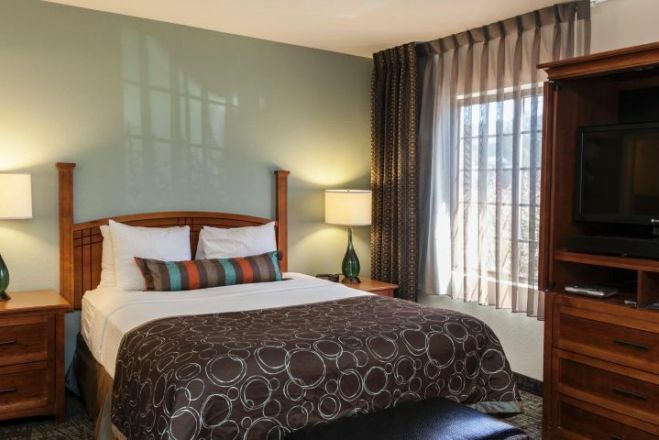 From every room being equipped with full sized fridges, cooking stoves, to complimentary hi-speed internet, Staybridge Suites Colorado Springs North will make sure your daycation to Colorado Springs goes smoothly. 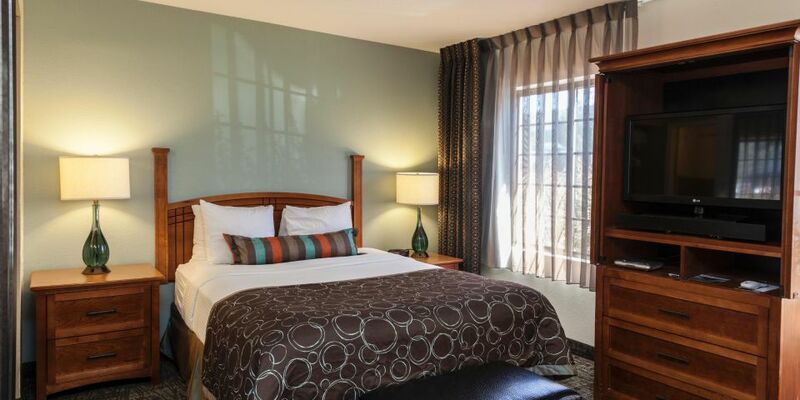 Book your next day room in the Centennial state with Hotelsbyday! Pikes Peak – The pride of Colorado Springs, Pikes Peak is considered the highest summit in the southern Front Range of the Rocky Mountains. There you can attack a plethora of activities ranging from enjoying the ascending view of the state on a cog train to exploring the insides of the mountains themselves in cave tours. No matter what kind of outdoor activity you’re looking for, Pikes Peak will definitely have something that fits you for your daycation. Red Rock Canyon – As its name suggests, Red Rock Canyon is full to the brim with its titular crimson colored rock formations. With multiple trails, this is a great attraction to conquer with your family. For those with cameras, Red Rock will also provide you with breathtaking views and incredible photo opportunities. You can do this great excursion and still have time for a hotel stay for a few hours. Glen Eyrie Castle – A European style castle in Colorado? Glen Eyrie Castle was formerly the house of General William Jackson Palmer, but has now been restored for the general public to visit. 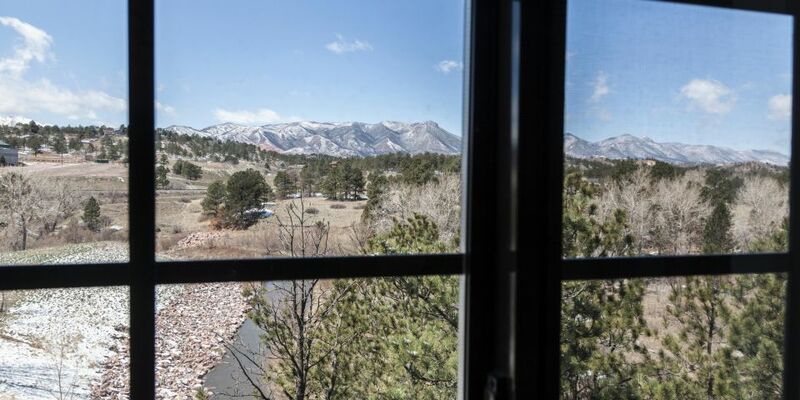 With 17 guest rooms, 2 dining halls, and 7 meeting rooms, this mammoth feat of architecture is something you probably don't want to miss during your Colorado Springs daycation. 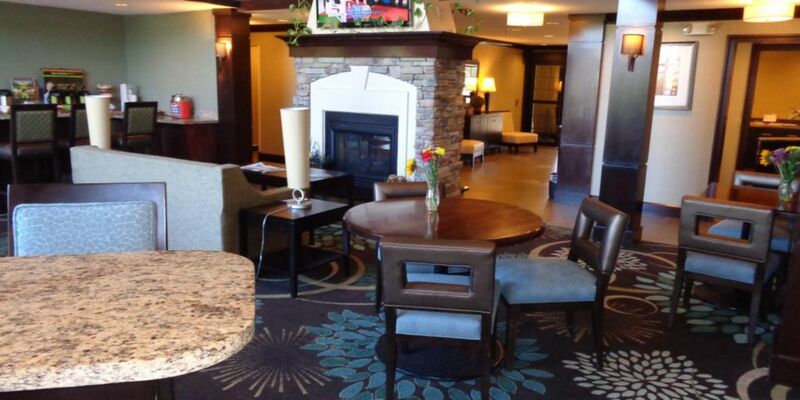 Parking - There is complimentary on-site parking for all guests to use during your day stay at Staybridge Suites. 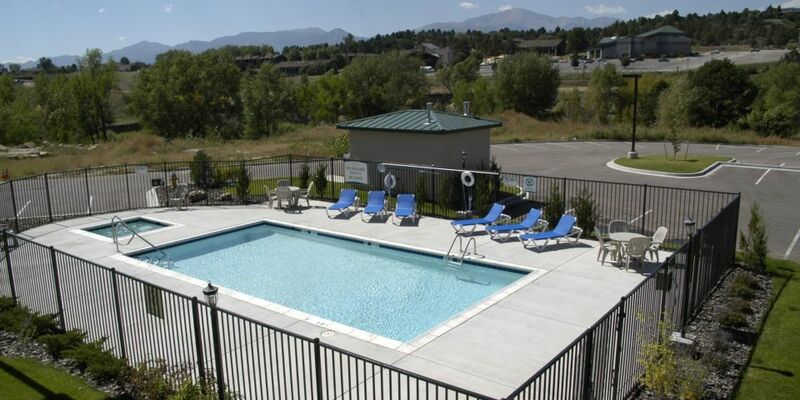 Fitness Center and Pool - Stay in shape during your stay in Colorado Springs with the hotel’s on site fitness center and pool! 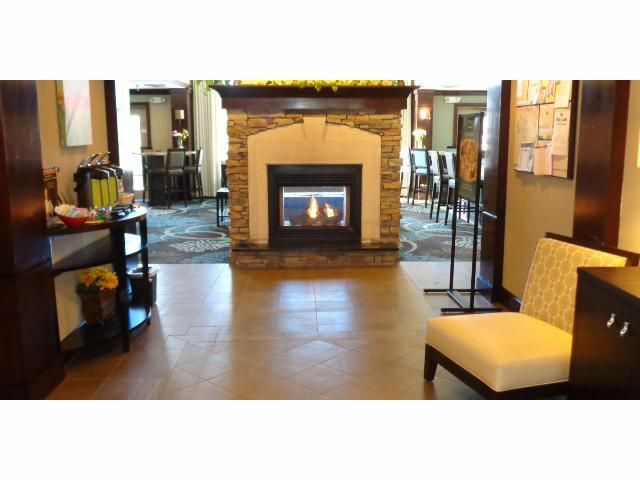 Or relax after a long day of fun in one of the heated pools available.